As far as farming games go, Stardew Valley is untouchable. Launched in early 2016 by publisher Chucklefish and developer ConcernedApe, the game lets players live out their farming fantasies in a rural village. 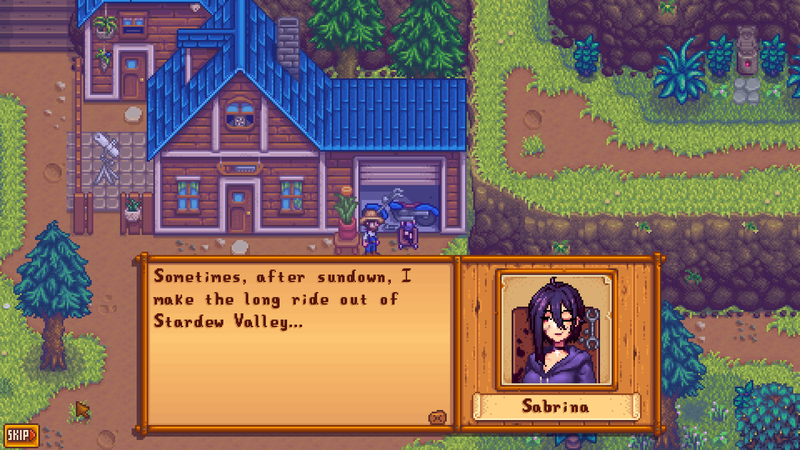 Life is slow in Stardew Valley, and while the game encourages players to go at their own pace as they grow crops and meet the locals, there's definitely a few gameplay benefits from adding mods. Luckily, players can modify the game's files using SMAPI, the Stardew Valley mod loader. From NPC locators to farming improvements, here's some of the best mods available for Stardew Valley on PC. Ever wanted to know where a villager is at all times? The NPC Map Locations mod lets players track characters by simply bringing up the in-game map. The NPC Map Locations mod lets players not just track where villagers are located across town, it also lets players filter out certain villagers. That way, if a player wants to track a specific NPC love interest in order to maintain their friendship level, players can use the mod to quickly run over and chat. If you're just getting started with Stardew Valley, it can be hard to remember which crops are which when they're growing in your field. Luckily, Simple Crop Label lets players keep tabs on their produce and make sure they're tending to the right plants. By hovering their cursor over a crop and pressing the right mouse button, this mod gives players a given crop's name. It's a pretty straightforward mod, but it's also incredibly helpful for farmers that are just figuring out Stardew Valley's gameplay. Curious to know how your current experience level fares? The Experience Bars mod lets players track how close they are to leveling up a skill. 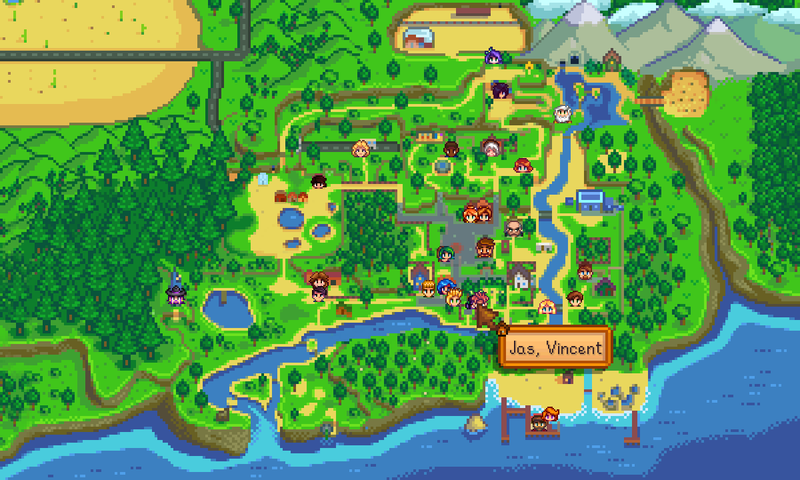 The bar sits at the top-left corner of the screen, letting players keep tabs on their experience at all times while farming or wandering around town. Ever worried about your friendship level decreasing with your fellow villagers? This mod fixes that. Called Friends Forever, it prevents the friendship level system's hearts from decaying. So even if you haven't chatted with a villager or played with a pet in a while, you won't lose a level just for missing out on saying hello. By default, this mod prevents the player from having their friendships decay between their animals, local villagers, and their dates. It doesn't cover decay between a player and their spouse, however, but that can be turned on by editing the mod's configuration file. 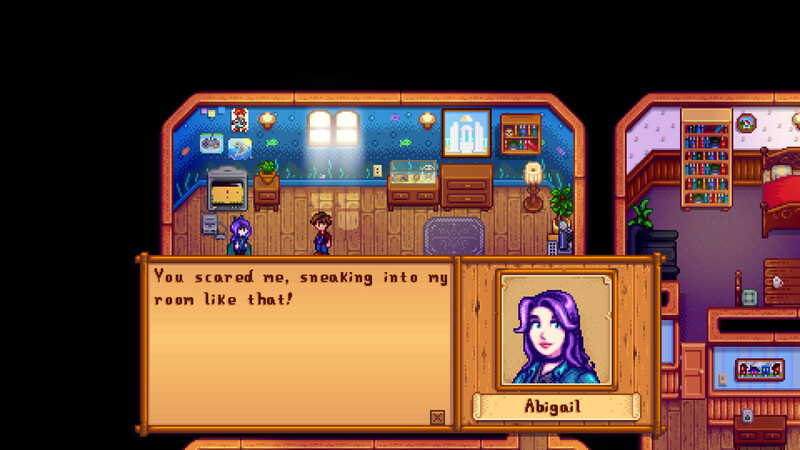 If you're interested in only dating girls in Stardew Valley, then don't worry. There's a mod for that too. This mod changes Alex, Elliott, Harvey, Sam, and Sebastian's portraits and character sprites into women, letting players date the male characters' female iterations. The mod's latest version requires the Stardew Valley multiplayer beta branch, but interested players can also check out the original version here. Some dialogue options in the mod haven't been changed properly to accommodate the female character swap. For corrections, check out Invatorzen's dialogue changes mod. 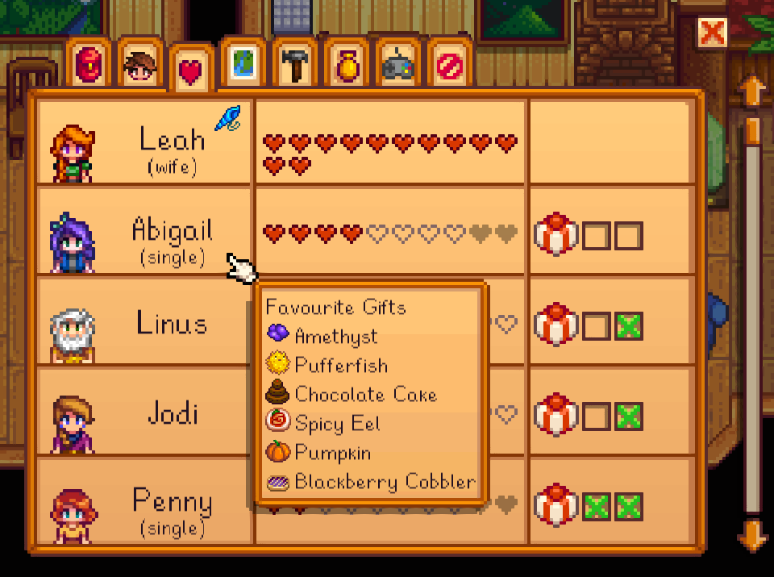 In Stardew Valley, each villager and love interest has their own preferred favorite gifts. Traditionally, figuring that out takes a lot of trial and error. But Gift Taste Helper lets players learn right away. Using Gift Taste Helper, players can hover over a villager's birthday on the calendar or their name on the social tab and see which gifts they prefer to receive. There's even a special "Progression" Mode, which lets players reference villagers' favorite gifts as they continue trying out options. That way, there's no need to cheat to earn your friends' favor. 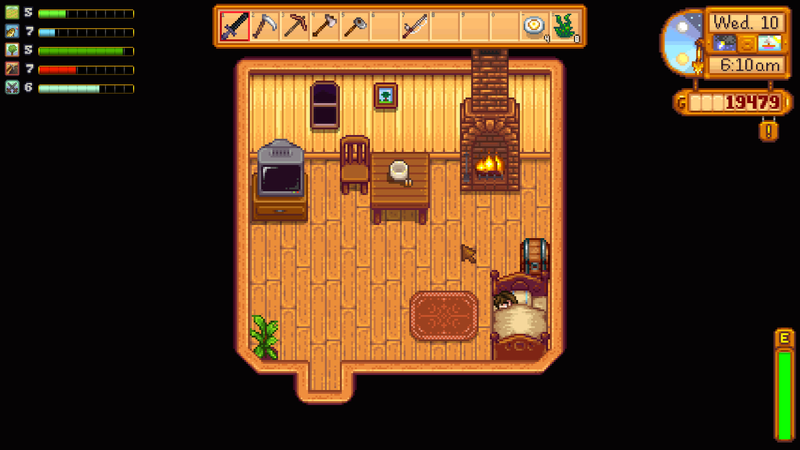 Last but not least, if you're interested in receiving a leg-up while playing Stardew Valley, there's a mod for that too. CJB Cheats Menu is a seamless in-game cheats menu that lets players warp to locations, receive infinite health and stamina, earn an endless amount of money, increase their skills, and do just about anything else you can think of. CJB's mod isn't just incredibly comprehensive, it's also useful for players that want to experience Stardew Valley on their own terms. There's eight different sections in total for players to mess around with, from improving skills all the way to turning off friendship decay. The mod even works in multiplayer, too.